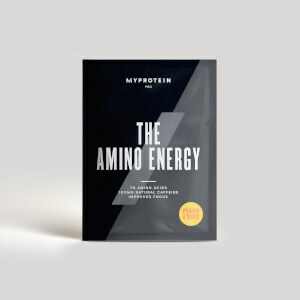 It’s a super-convenient, high-quality protein that helps grow and maintain important muscle1 — and with just 0.1g of fat, and only 102 calories per sachet, it’s ideal whether you’re trying to build muscle, lose weight, or tone-up. When to take Protein Gel? Anytime of the day — it provides a protein-packed boost, without the need to mix up a shake. 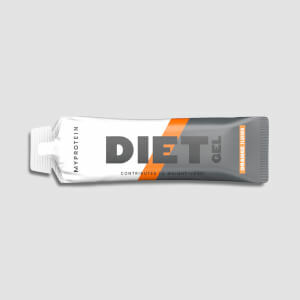 What works well with Protein Gel? 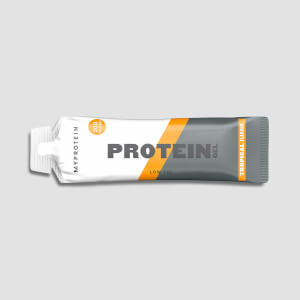 Protein Gel is great for increasing daily protein intake anywhere, anytime, but if you’re looking to fuel1 your next workout, try our Energy Gel Elite — packed with 25g of carbs, in a 3:1 maltodextrin to fructose ratio, providing the energy1 you need to succeed. Not suitable for vegetarians and vegans. Keep out of reach of children. Raspberry: Greek Style Yogurt (Milk) (50%), Hydrolysed Collagen, Water, Acidity Regulator (Glucon delta-lactone), Stabiliser (Pectin), Natural Flavouring, Preservatives (Sodium Benzoate, Potassium Sorbate), Sweetener (Sucralose). Tropical: Greek Style Yogurt (Milk) (50%), Hydrolysed Collagen, Water, Acidity Regulator (Glucon delta-lactone), Stabiliser (Pectin), Natural Flavouring, Preservatives (Sodium Benzoate, Potassium Sorbate), Sweetener (Sucralose). The nutritional information is based on the raspberry version, when choosing an alternative flavour the nutritional values may vary. 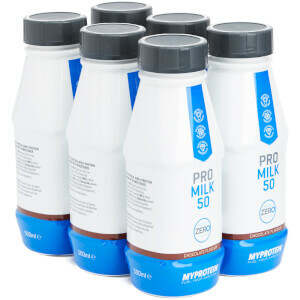 Fruit flavour yogurt based protein sports gel drink with sweetener.